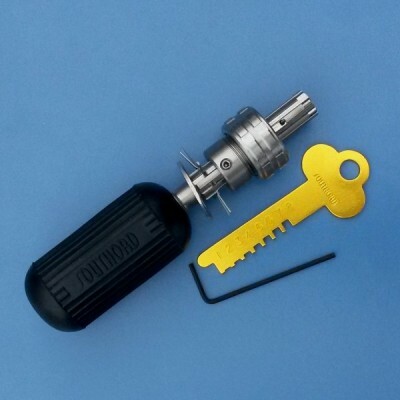 Tubular lock pick for 7 pin offset and 8 pin left or right tubular locks. SKU: TPXA-8. Category: Lock Picks. Brands: SouthOrd. 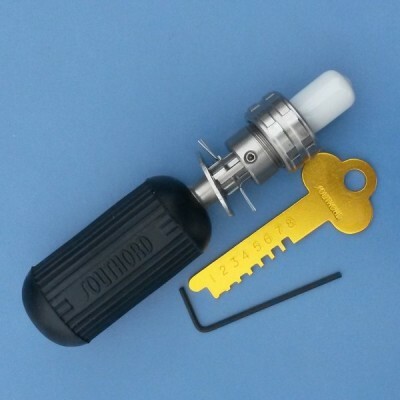 An adjustable collar allows this lock pick to work on locks with different spring pressures. Once a lock is picked, the adjustable collar can be tightened to lock the needles in place. This adjustable collar also locks the needles into position allowing the tool to be removed and used as a working key. The lock pick can even be used with a key machine to make a working key. 7 Pin Right Offset, 7 Pin Left Offset, and 8 Pin Center. 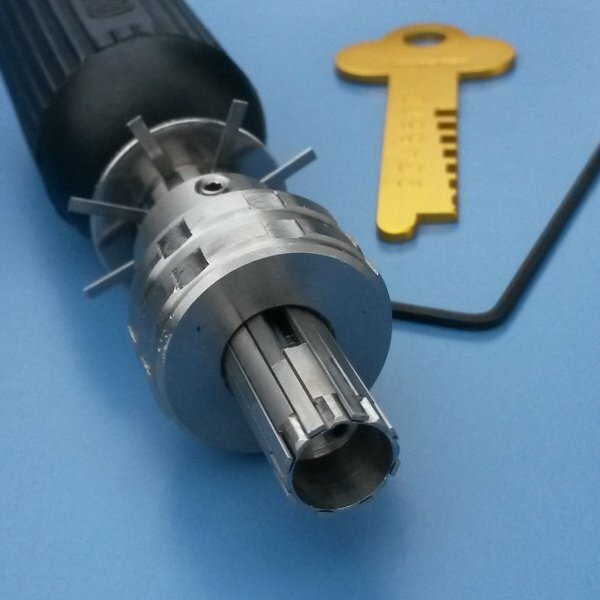 These three make up the second most common types of tubular locks after the 7 Pin center type.